International auction house Phillips recently held an innovative exhibition with groundbreaking works exclusively by African American artists. Titled “AMERICAN AFRICAN AMERICAN,” the show presented paintings, photography and sculptures from the ’50s until now. “It gives proper recognition to these extraordinary artists of the mid-20th and early 21st centuries alongside their contemporaries,” says Arnold Lehman, Director Emeritus of the Brooklyn Museum, who curated the show. Phillips presented a version of the exhibition in 2017 in London that was much smaller in size and scope, but following its success, the show doubled in size to feature over 60 artists. In a radical move for an auction house, Lehman managed to source pieces directly from artist studios, galleries and dealers. The show became the largest selling exhibition of African American art to date, and was one-third sold out before it was opened to the public. 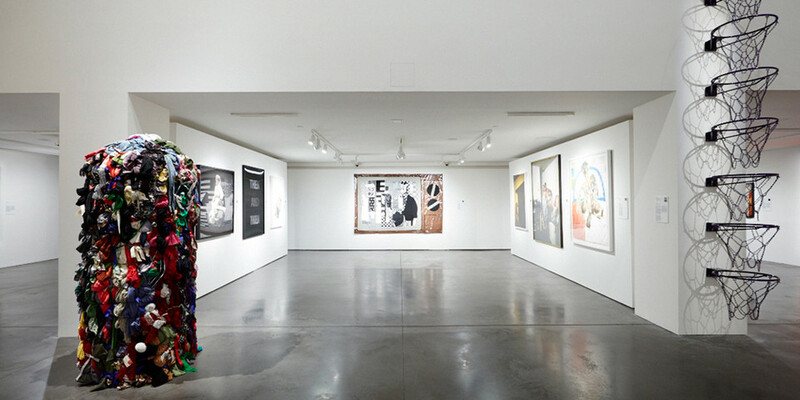 Although the exhibit has concluded, view a selection of pieces that were showcased at Phillips New York above. Upcoming sales in New York and London feature more highlights from Kehinde Wiley, Sam Gilliam, David Hammons, Awol Erizku and more.